I am using the CMS.Root.SmartSearchResults transformation with the SearchDialogWithResults Web Part. 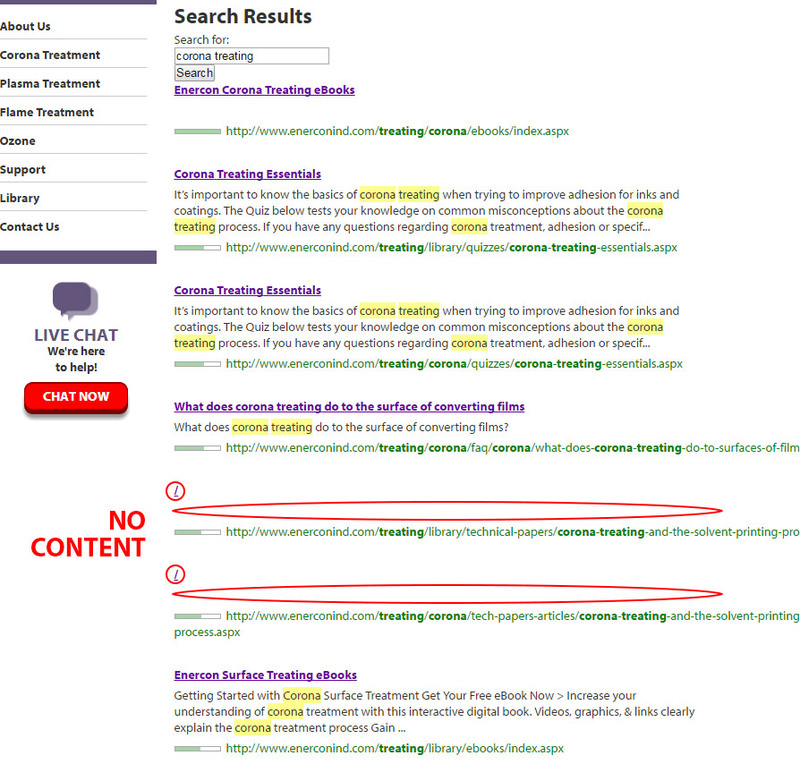 I am running into issues where pages that use repeaters for content are not displaying any results when a search is performed. it shows a "/" and links to the page along with the URL at the bottom but none of the content from the page. Are those two results custom page types? Or are they the standard CMS.MenuItem types? If they are custom, did you map the Search fields to have a title and content field that can power the search results? Check out this documentation on page type search fields.. If they are standard CMS.MenuItem and have no content, then try adding some content on the Page's Metadata tab on the page title and page description fields. One other thing I can think of is that they might be page aliases or menu redirects? If that is so and you don't want them in the results you can disable them from being in Search Results by checking the Exclude from Search checkbox on the Page's Navigation tab properties.